As a Telecoms guy, I will be sharing with you the lowdown of getting a Landline in Nigeria. 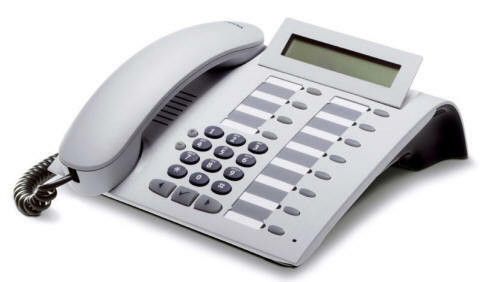 We all know that there are some needs, especially business ones, that only Landlines are ideal for. Your GSM phone can even put you at a (business) disadvantage if used to meet such needs. Just imagine a company with no Landline, that in itself will mar the image of the company. So how do you go about getting a Landline in Nigeria? How are the fixed line telephone service providers in Nigeria? I will list out the fixed line telephone service companies and then give you my intelligent review. 21st Century Technologies: They are arguably the best and most popular in Lagos. They provide fixed telephone line service over fibre for PABX lines or copper for single analog lines. They've got one of the best core infrastructure, same as VGCcom. VGC Communications (owned by MTN): They also provide quality service and use one of the best core infrastructure. If you are a business, I'll advise you get both 21st Century lines and VGC comm lines. That's what nearly all the big companies in Nigeria do. But MTN isn't aiming at growing this part of their biz, you will have to search through vconnect to reach them. Glo Landline: Yeah, Glo provides Landline services. And they're popular in the corporate Nigeria. But if you're a home user, I wouldn't recommend Glo. Swift Voice: Swift provides Landlines via VoIP (voice over IP). They are becoming very popular, their pricing is probably the most competitive. I hear they've got good support too. Monarch Communications: They are also popular and reputable. Those are the ones I would recommend. You'll noticed that I omitted Multilinks, Starcomms, Visafone and Zoom mobile. They provide fixed wireless via CDMA, and this is not true landline. However they still serve a purpose, Visaphone and the other wireless over CDMA Platform provide.Its a fast cheap means of owning a landline as a business entity, it leaves SMEs and newly established business to allocate scarce resources. Most usage of land lines are fiber optics cables or Satellite. This can transfer large data in a more secure form but much more expensive in initial setup cost. Am not an IT guy but i have an idea how the market works. Thanks mike for the info,i bought visafone for my wife thinking its a landline which i later realized its a mobile when i got to the u.s.
You can reach IPNX or 21st Century Technologies or VGC Communications. Don't have their current contact, but if you google them you'll get their contact details. They provide reliable landline services and cover a huge part of Lagos. Movable once like we use outside Nigeria will be best but pls which network is the best at the east thanks. Hmm, that's a tough one. I don't know of any. You can check for companies in Enugu, anyone using a landline contact number? Thanks for this information. It's much cheaper to call a nigerian landline from this country than it is to call a mobile phone, so I hope we can get a company providing a good landline service in Benin City. If anyone knows a good one for this region I would appreciate the information, but I will start checking it myself anyway. It can be tough to find any outside Lagos, Abuja and PH. Can you recommend any good landline service provider in Abuja? I don't know Abuja that well. I know that 21st Century Technologies have landline services in Abuja but they seldom cater for households/individuals. Hi Mike, thanks for the wonderful info, do these landline providers offer a landline with a 01-Lagos number? Yes. All Lagos landline numbers start with 01. It is easy, though I don't know how you'll get 33355 type of number but you can easily get 0700XXXXXX type of number (from Alpha Technologies, google them). But to have them linked to several landlines, you need to first get the landline line and hooked to a PABX and configure hunting (what makes one number ring across multiple landlines) and give Alpha Technologies that landline as the destination for the special phone number. 33355 is a shortcode. It's easier to become a LG chairman of a state in Nigeria than get one of those.